The Women's Ventloft Soltau Winter Jacket by Schöffel is extremely lightweight and has many great functions. The quilted jacket can be worn solo in dry weather. Thanks to the zip-in function, you can combine it with a hardshell jacket in moist conditions. You can also flip it over ? the jacket looks great from both sides. The nylon outer material is wind and water-repellent. With its dry treatment, it provides additional protection from moisture. The interior contains a very warm Ventloft padding by PrimaLoft. If you don't need the jacket, you can easily stow it away. It's easy to find room for it in your backpack since it's so lightweight. Two cozy side pockets let you warm up your cold hands. An interior pocket lets you store all of your important items. 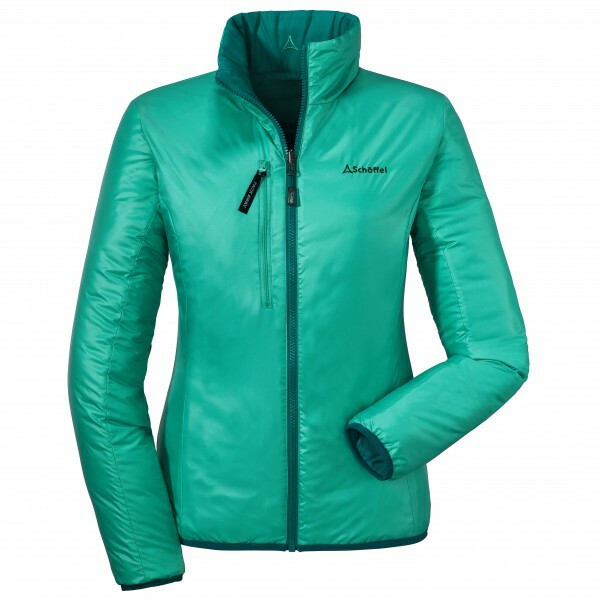 The Women's Ventloft Soltau Winter Jacket by Schöffel is both stylish and functional.